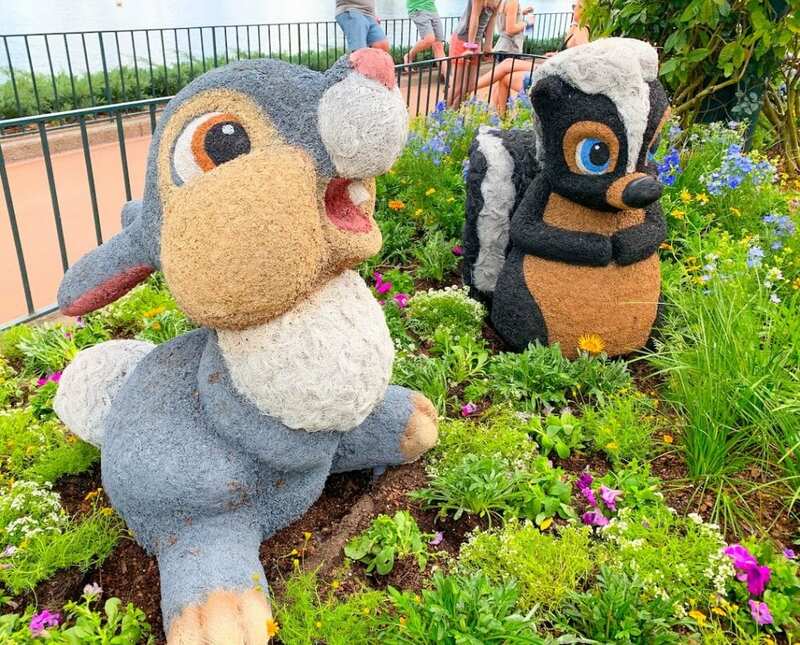 The 2019 Epcot Flower and Garden Festival is an amazing celebration of the art of horticulture and gardening and more. It’s a time to savor nature’s beauty and learn how to shape it and care for it responsibly. 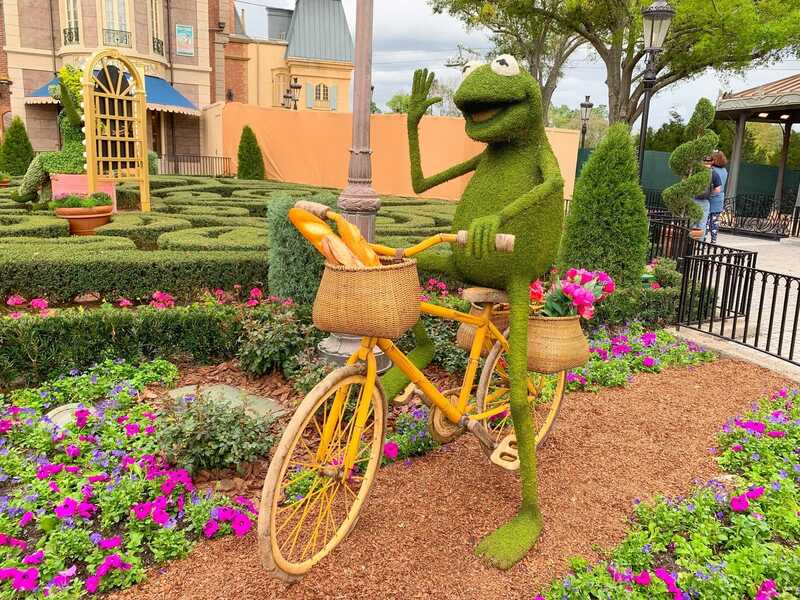 This festival has so much to offer Guests who visit Epcot in early spring. 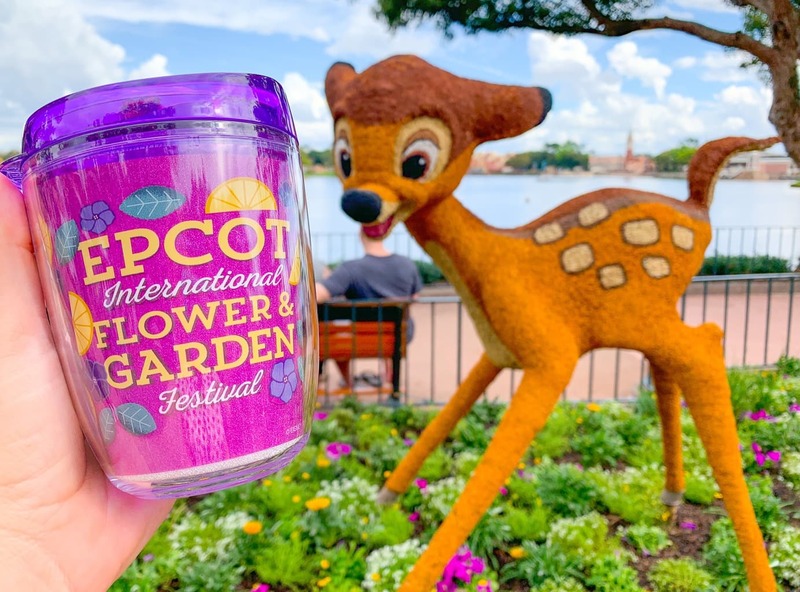 The 2019 Epcot Flower and Garden Festival dates are March 6 to June 3, 2019. More than any other festival, it features such an essential piece of what makes Disney unique. 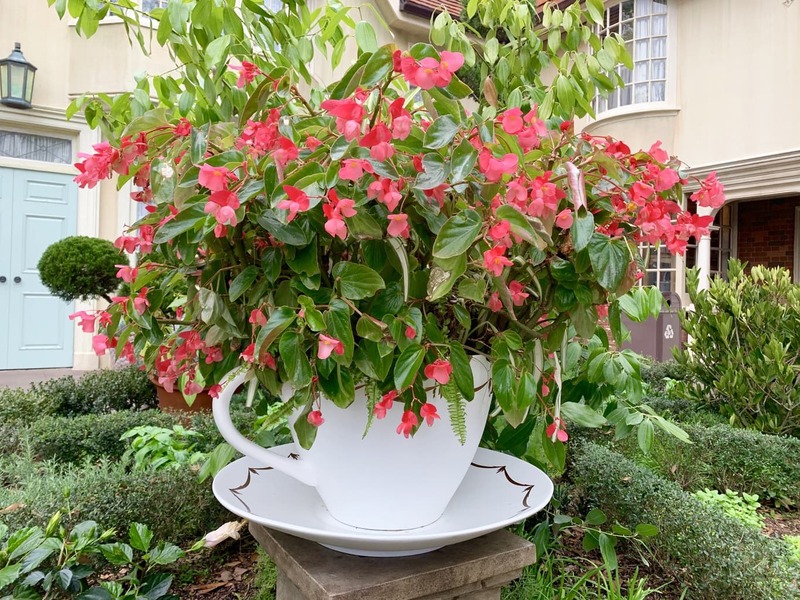 As a world leader in theme parks and vacation destinations, Disney uses creative gardening techniques to support their stories and themes in very unique ways. There are so many gardens to view and admire all around Epcot; especially in the World Showcase. Each region of the world has unique plant life to discover and admire. 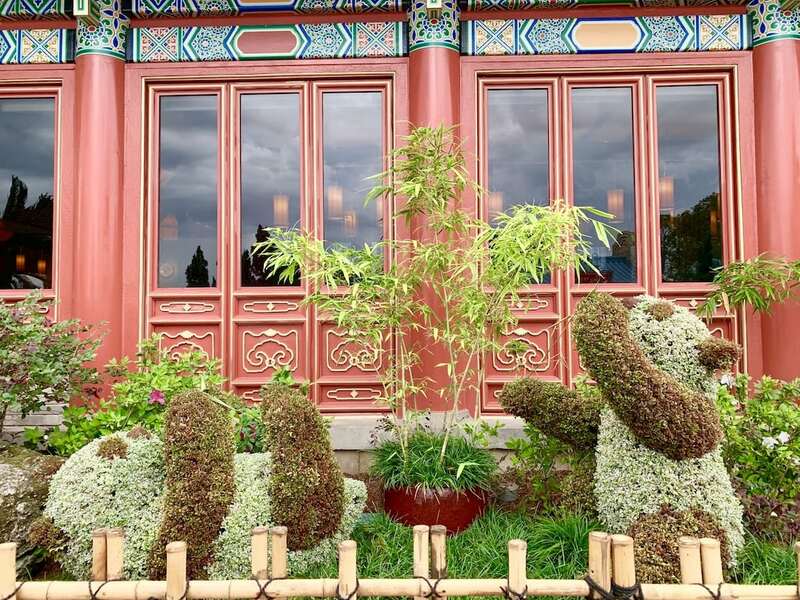 From the Alpine container garden in Germany to the bonsai garden in Japan, many of the pavilions around World Showcase offer a unique perspective on gardening. The UK Pavilion highlights tea in one garden, and Shakespeare in another. Shakespeare quotes are matched to the flowers he refers to. The Garden Italia focuses on ingredients grown to make pasta sauce and more. 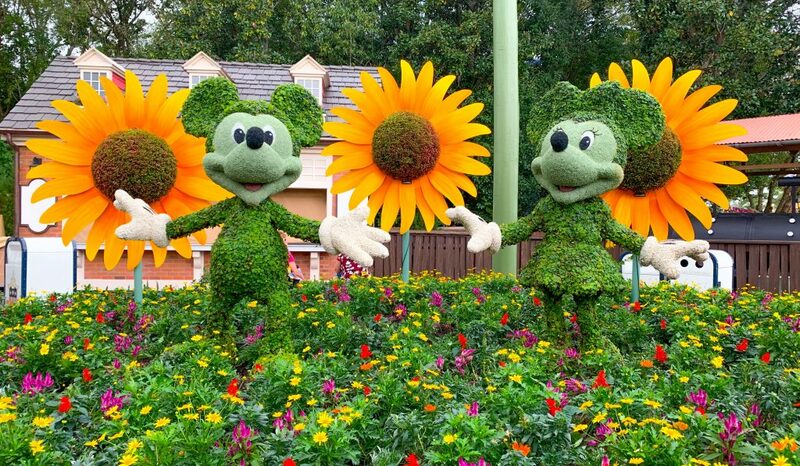 Topiaries spring to life all around Epcot for Flower and Garden. These intricately pruned and cultivated plant displays are pretty at first glance; but they are marvelous the more you stop to admire the work and the craftsmanship involved. 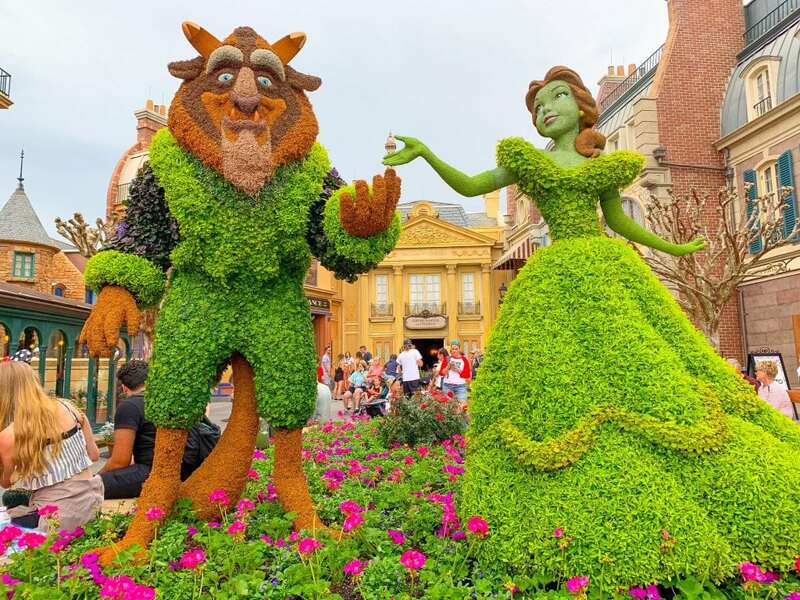 Disney Characters make up the bulk of over two dozen topiaries on display. Yet, some focus on culture, such as the troll in Norway, and the dragon in China. Exhibits teach about ecosystems and conservation through interactive learning. Discover the pollinators of Future World: bees, butterflies and purple martins. The butterfly house is fun for all ages. A Penguin sculpture made from reclaimed ocean garbage speaks to our environmental impact and the importance of conservation efforts worldwide. In addition to the interactive exhibits there is a play discovery area near the imagination pavilion, and there are guided tours available in World Showcase. 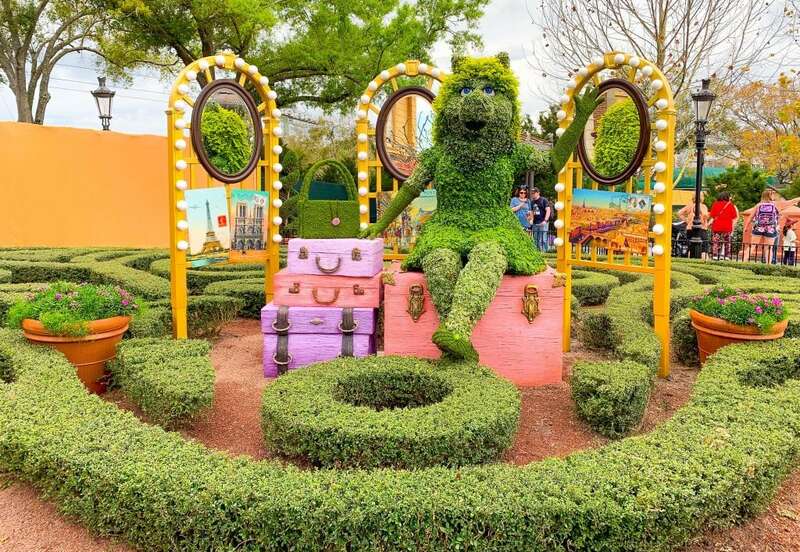 To commemorate the 2019 International Flower and Garden Festival, there are a variety of fun themes to choose from. 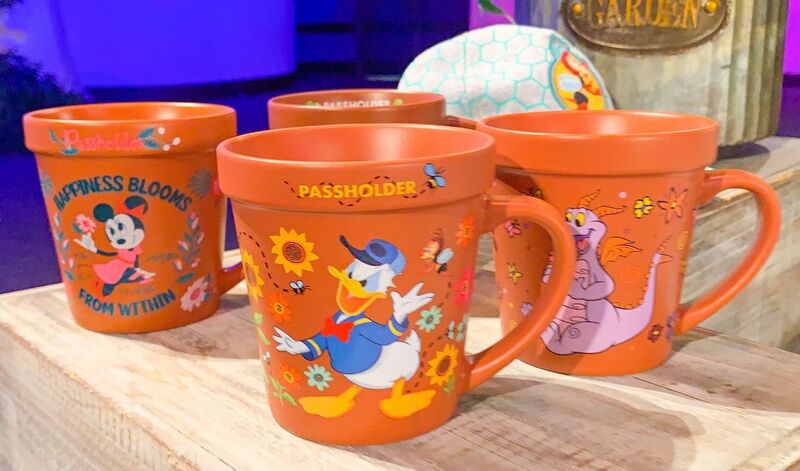 Figment is available, of course, with the Flower and Garden Logo, Mickey and Minnie get featured in separate merchandise for Mickey’s Garden Shed and Minnie’s Garden Party. There is also some really cute merchandise featuring Donald Duck and Spike the Bee. 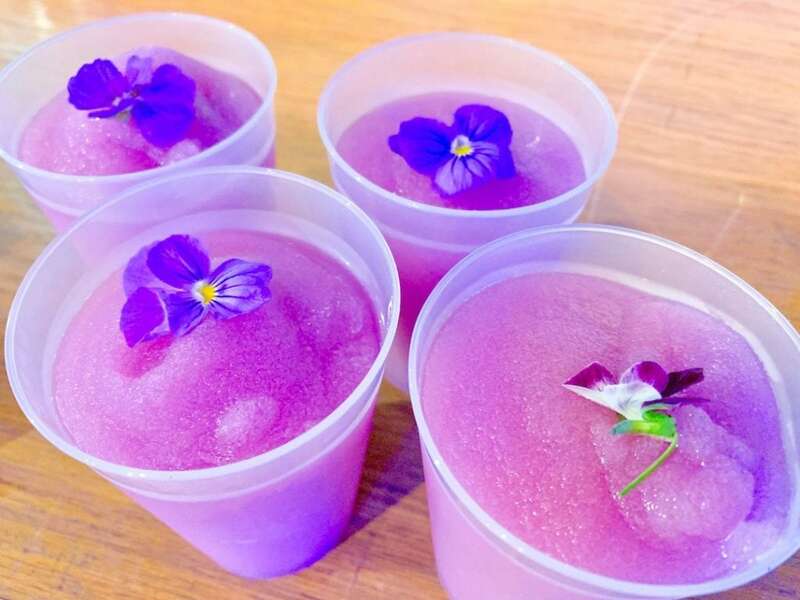 The food at Flower and Garden Festival may be the biggest draw to Epcot. Rarely at Epcot festivals do you have so much to look at while you devour the tasty small plates cooked up in the outdoor kitchens. 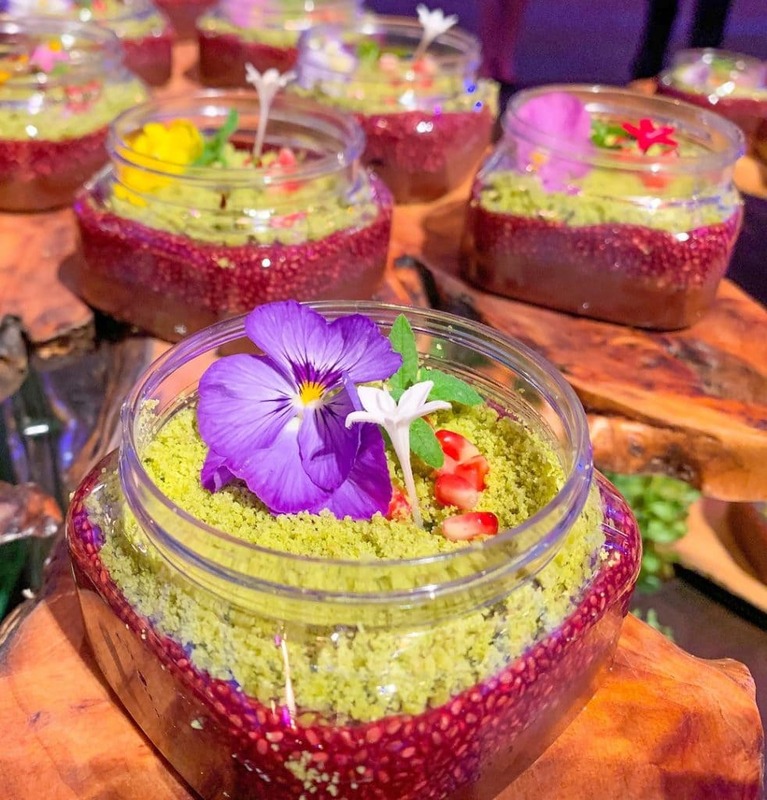 You can walk the gardens and gaze at the inspired horticulture as you savor the specially prepared dishes from all around the park. Dishes and flavors range all over the place so make sure you get a good sense of the outdoor kitchens you would most like to experience. Remember that the mobile kitchens around Epcot don’t open up until 11:00 so take your time. Popular Kitchens include Jardin de Fiestas in Mexico and Fleur de Lys in France. 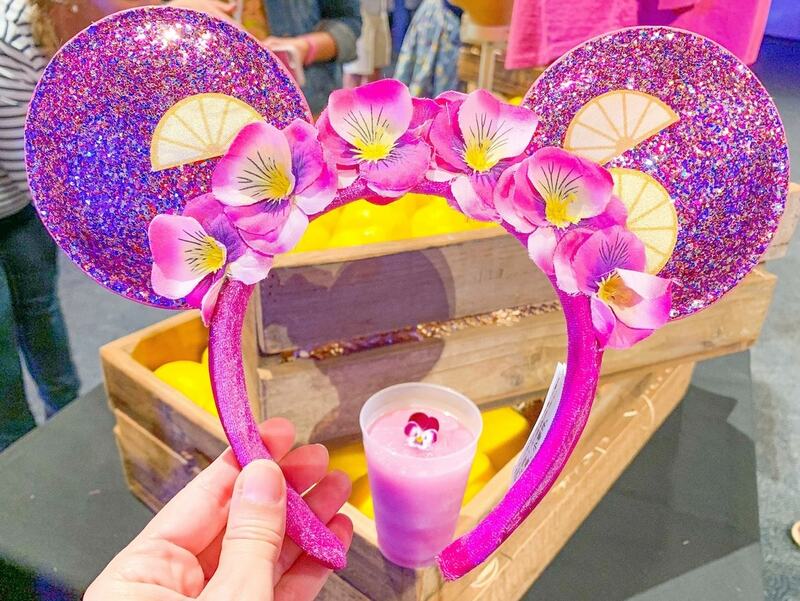 There are also brand new kitchens this year like Flavor Full, Citrus Blossom and Arbor at the Gardeners Terrace. Of course no food festival at Epcot is complete without a trip to Canada for some hearty samples and tantalizing maple treats. Finally, the table service restaurants play their own part in the festival by offering dining packages for the Garden Rocks concert series. Sometimes it’s fun to compare how things have changed at Disney. 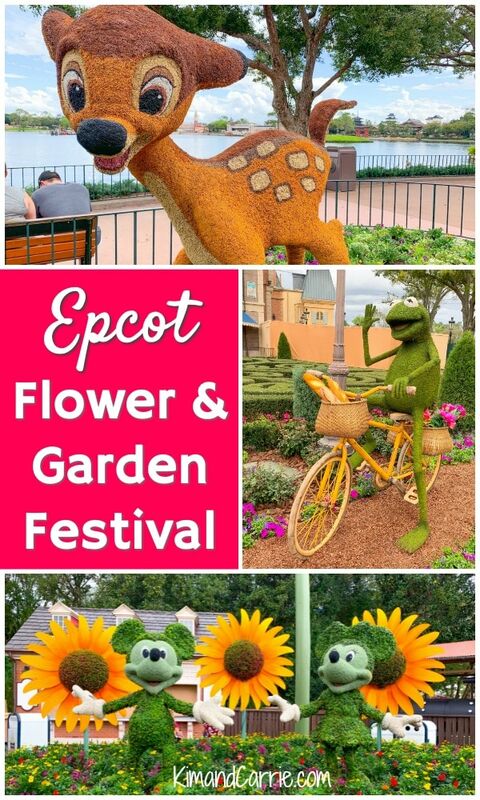 Check out our review of the best food at the 2015 Epcot Flower and Garden Festival. All festival long the Garden Rocks concert series will entertain guests with new performances three times daily. Concerts take place in the back of the World Showcase in the American Gardens theater. 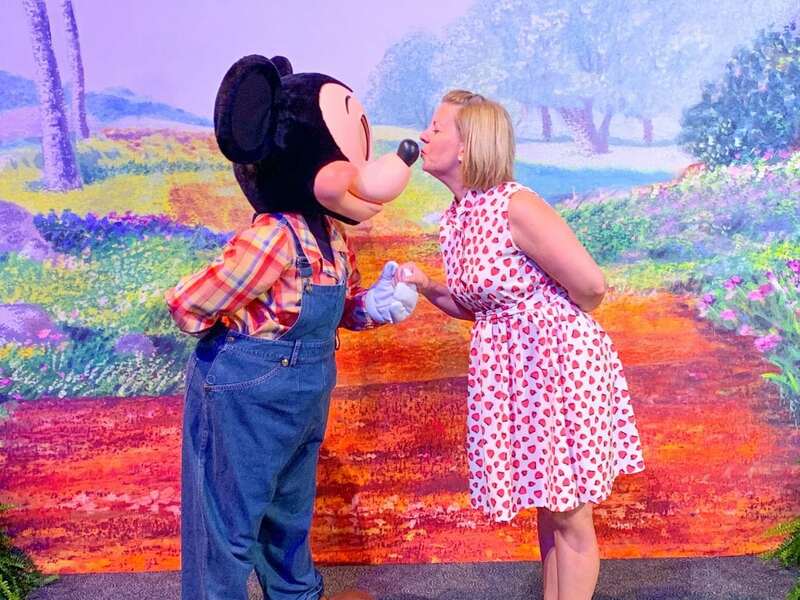 The concerts are free and open to all, but to get a guaranteed seat, you should buy a dining package for one of Epcot’s renowned table service restaurants. From the long list of performing artists are 11 celebrated pop bands as well as musicians and singers from hit bands such as ELO, Eagles, and Journey.